Bragg, the world’s trusted Apple Cider Vinegar has been in the health industry since 1912. Paul Bragg, the founder of Bragg Live Food Products, made it his commitment to providing self-help books for health, as well as natural health products. Among their most popular health product is their all-natural, organic, and unfiltered ACV that actually contains the “Mother”. But, did you know that they also have other products that also contain the infamous and effective apple cider? In this article, we take a look at BEST 8 of the vinegar goodies you can buy from Bragg. 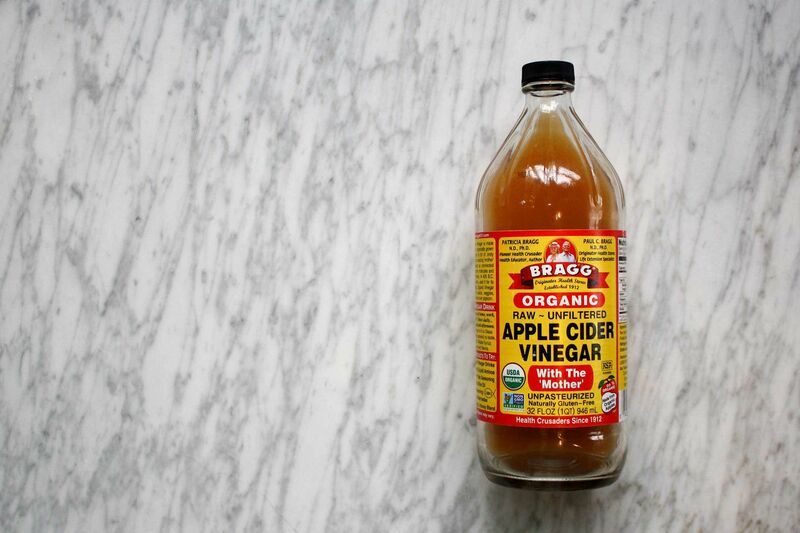 Let’s begin this list with Bragg’s best-selling vinegar, Bragg Organic ACV. 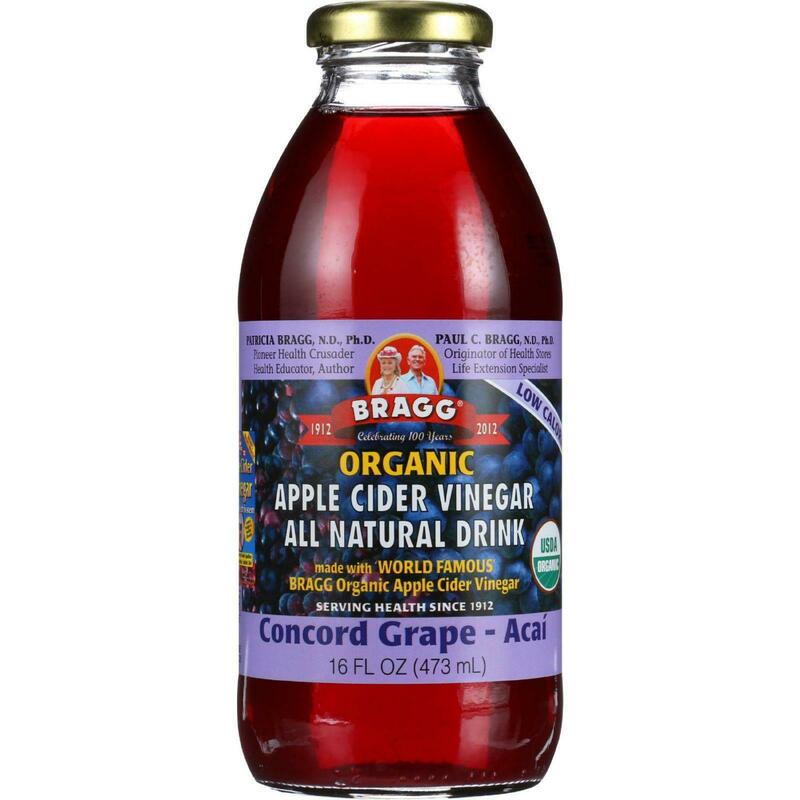 Bragg Organic ACV is most prized for its ability to drive weight-loss and its detoxifying capabilities. The secret behind thus Bragg vinegar’s success is because of its unfiltered nature. Skipping the filtration process allows the vinegar to retain the “Mother”, where the most valuable components can be found. The “Mother” contains all of the necessary bacteria to make this concoction potent. Bacteria sounds dangerous, but not the bacteria called Acetobacter. Some manufacturing companies try so hard to label their products as “organic” yet fail to make it look like so. When products are labeled “organic” there’s just the unfinished and almost rustic look that they give. At first look, Bragg Organic Apple Cider Vinegar with the “Mother” looks like it had been prepared right out of your backyard. If the bottle sits a little too long on your cupboard you’ll notice “sediments” settling at the bottom, which is, the most prized “mother”. Just shake it before use in order to ensure that you’re getting the best out of this “mother”. I bought this for the many wonderful benefits that this vinegar has been marketed. After trying out different brands of apple cider in the market, which you can read all about here, this one stood out for me because I was very sold by its unfiltered nature. If there was one negative thing I could say about this product, it would be its unpleasant smell. I don’t know if I’m just sensitive to strong odors, but, I just couldn’t take this vinegar’s smell. It’s too pungent for my liking. The smell though is the least of my worries considering the number of benefits I can take from it. 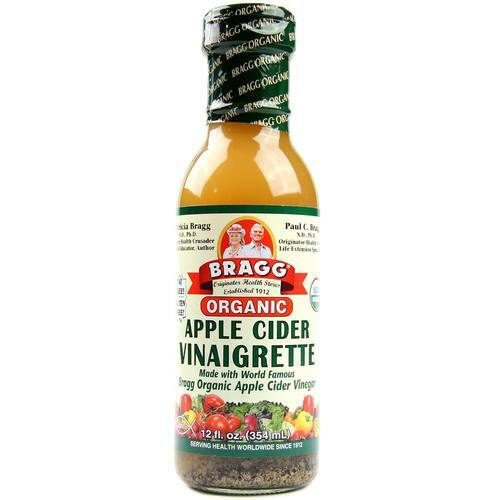 This unfiltered ACV is honestly my most favorite vinegar product from Bragg. You can read all about the things I learned about the benefits of apple cider here. The benefits range from tastier vinaigrettes, smoother skin, and the crowd-favorite, weight loss. The benefits, both proven and yet to be proven are so vast that many call it a panacea! Aside from the benefits I mentioned, I would add the recommended serving size of two tablespoons in a glass of water which I would take every morning. After several days, I noticed that I had more energy. But the most noticeable change for me was that I, being a self-confessed sugarholic, had my cravings for sugar significantly decreased! 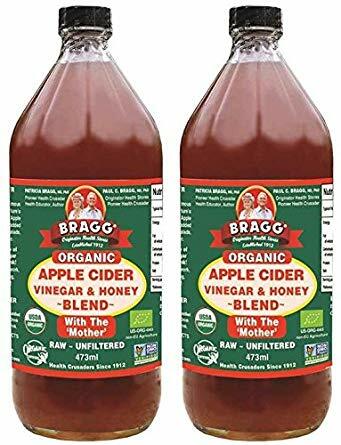 Also, in my in-depth research about this product, I found out that since this version of Bragg ACV contains the “mother”, you can take it out from the bottle and make your very own apple cider at home. How cool is that! Since I found the original Bragg Organic ACV’s smell rather too pungent, I decided to try other products from Bragg Live Food Products to find out whether the smell lessens with the other products. Whenever I make my own detox using ACV, I would add a little bit of cayenne pepper, little parts of lemon juice, and then honey. Coming across this product was truly amazing because it made the part of mixing honey into my detox concoction a little easier. My honey and ACV drink is very personal that I actually have my very own recipe so, aside from the amount of honey that I put, I also have a kind of honey that I like mixing my ACV with. If you’re like me, it would be better if you stick with the original Bragg Organic ACV without the honey so it gives you more flexibility. I find that the honey flavor in this mix to be a little too bland as if just hinted in the mixture. The great thing about having the Bragg Organic Apple Cider Vinegar & Honey Blend is that it’s already been pre-made. With a bottle of this lying around the house, there won’t be any need to purchase a bottle of honey to make your daily ACV drink. All you have to do is pour two tablespoons of this miraculous mixture in 8 oz of purified or distilled water, and you’re good to go. Aside from diluting it in water to drink, I tried mixing it with plain oats. I gotta say, it did make for a pretty interesting combination. And since this has been pre-mixed with honey, it could also work great with some fresh fruits like strawberries or any fruits available in the season. The number of ways you could use this is only limited by your imagination. Alright… this is one expensive drink. But hey it is good tasting and unique! Even though Bragg was established in 1912, they continued to innovate their products and made them more accessible. A secret that most businesses have is that they adapt to their environment and Bragg’s ACV Drinks are testaments to this. So, when I learned that they also have other vinegar drinking products, I just had to check them out and see for myself or rather, taste for myself. The first from this line of vinegar products that I tried was the Concord Grape-Acai combination. First sip, all I thought about was I must be drinking a sangria minus the alcohol. The second sip made me think about how much people are missing out from this amazing drink because all they know about Bragg is their original-flavored ACV. Like I mentioned, the bottle is very similar to the old school Gatorade glass bottle and if you have ever drank from that you’ll know that sometimes, there’s rust on the glass mouth itself. Luckily, I didn’t experience it. However, this is something that I thought could be considered by the product engineers at Bragg to always ensure that the glass bottles that their loyal patrons will be drinking from will be rust-free. Carrying around the 16 oz bottle was a pretty neat shortcut to ensure that I was getting my daily recommended ACV dose without having to carry the unfiltered ACV I have at home. No more mixing, no more buying juices for me! All I need is one bottle of this and it will last me the whole day. It was around 2012 when Kale achieved its “vegetable of the moment” status and became the instant symbol of healthy eating. Knowing that this vinaigrette had Kale, I decided to give it a whirl and automatically put this in my cart. After all, I am all about following a healthy lifestyle. I try to incorporate as much greens as I could in my daily food intake and I really thought that it was perfect that this vinaigrette is packed with the healthy kale. With my commitment to eating healthier, I even went as far as just steaming chicken breasts for lunch so I can be rid of excess oils but that changed when I learned how to marinade. With Bragg Organic Tuscan Kale Vinaigrette, I was able to make my chicken breast lunch even more appetizing. The blandness of the chicken was the perfect canvas for all the flavors in this humble marinade. Kale, on its own, is already very bitter. I found that many people have mentioned that it’s a little too tart in taste. But one of the things I completely agreed with was that the bottle was too pressurized that it almost spilled. Better open it by the sink or risk getting exploded on! A number of people shy away from kale for its taste. Kale tastes too bitter on its own that there’s a ton of recipes dedicated to manage just to get the benefits of this leafy green. Upon my research, I learned that a cup of kale contains Vitamins A, B6, C, D, K, Manganese, Calcium, and even Magnesium. These vitamins work together to allow the body to function better. Vitamin C, aside from its immune system boosting capability, helps in absorbing calcium better. Magnesium works on your nerves and muscles and is found to be the most important vitamin to ensure that your heart is beating right. Kale was also found to have cancer-fighting capabilities, just like ACV. Also, if you’re counting your carbs and your diet is leaning towards the high protein side, this is a great addition to make your salads very tasty. Every serving of this vinaigrette has only 1% of the dietary recommended carb allowance. Skip your ranch for this! Limeade is a refreshing drink that mixes limes, water, and some sweetener. 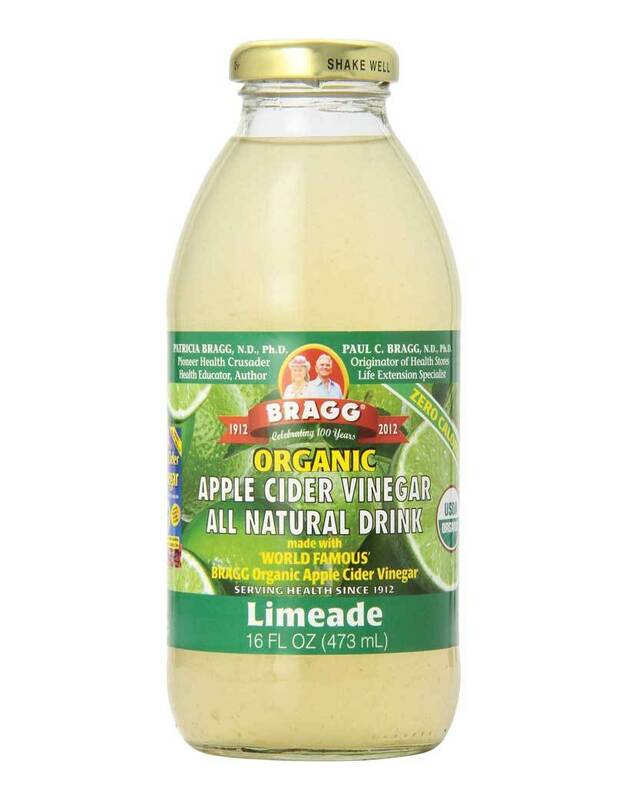 Classically made with white sugar, but this Bragg’s Organic ACV Drink in limeade flavor is not just your ordinary childhood limeade. It’s boosted with the benefits of ACV! I have loved limeade since I was a little kid. I remember it as a staple drink in the summer so I was very fond of the idea of this ACV-boosted limeade which I can carry around with me. Flavor-wise, it was able to capture the limeade flavor I grew up with. The lime flavor hits home and surprisingly, stevia, even though it was a sugar alternative, was able to blend in so perfectly with the lime. Lime also share the same health benefits with its citrusy cousin, which are lemons. A serving of lime water provides about 25% of the recommended daily dietary allowance of vitamin C and it has a score of 24 on the glycemic index scale, which means it’s very low and perfectly safe when you’re monitoring your blood sugar levels. Another advantage of this drink is its ability to hinder the growth of bad bacteria, which is also an advantage to drinking Bragg’s Organic ACV. Put together in one majestic limeade drink and your defenses against the common bacteria such as Streptococcus will be elevated thus preventing you from contracting respiratory and oral bacterial infections. Ginger and sesame are staples in Asian cuisine. This spin on the Asian classic with the addition of ACV makes for an interesting salad dressing or even a healthy option for dips! This is also a TOP SELLER within online stores. 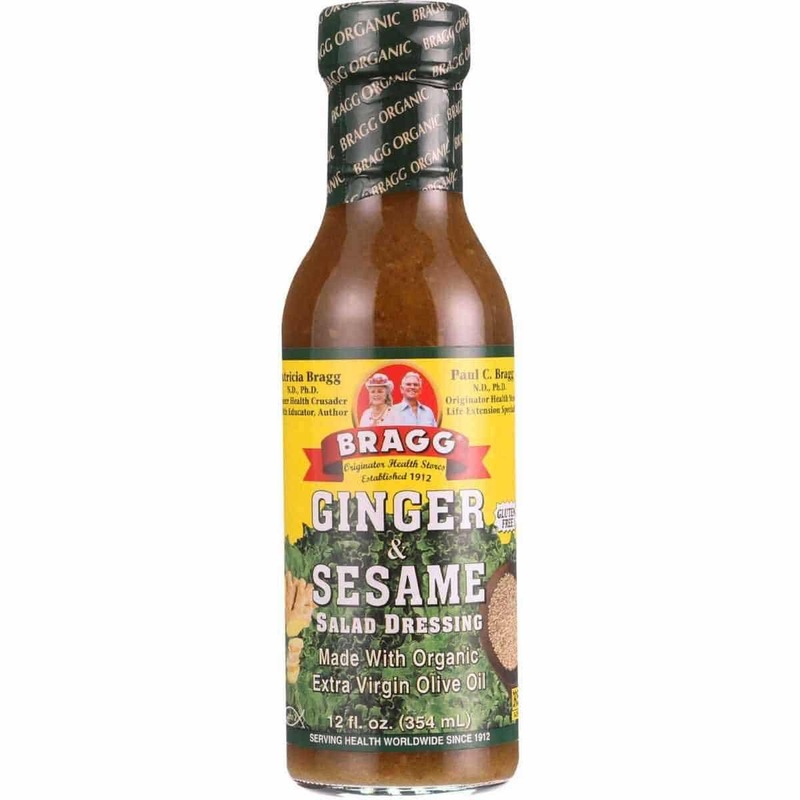 I’m a huge fan of trying out cuisines from all over the world which prompted me to purchase a bottle of Bragg’s Organic Apple Cider Ginger and Sesame Dressing. To me, the combination of ginger and sesame is always exciting. Adding up a little bit of ACV made this combination a little bit healthier. I made a salad for lunch one day and used this as a dressing. I plated some roasted chicken, some greens, a little of cranberries, walnuts and then this special dressing from Bragg. I was hit with the tang and pungence of the ACV. Quite immediately, the ginger too. I found that the taste of sesame was a little too toned down. Enjoying ginger and the taste of sesame in everyday food may be a bit of an acquired taste. Some say that the ginger in this dressing is a little too much. Another point that Bragg could improve on for their vinaigrette and dressing is the amount of pressure put in these bottles as well as their packaging. People who purchased have mentioned that their bottles are broken and that the dressing spilled because of the unacceptable packaging. Even though both ginger and sesame are small and oftentimes ignored compared to the other ingredients on this list, both of these food items have their own health benefits. Ginger is popular for its anti-inflammatory effects. In some Asian countries, ginger is cooked in a little bit of oil, then crushed and made into a paste. This paste is then put on sore muscles to lessen inflammation. It also aids digestion and also helps fight off infections. Sesame, on the other hand, was discovered to help lower cholesterol. An effect that you can also get from taking in ginger and apple cider. Since these tiny seeds are rich in magnesium, they also aid in better nerve and muscle functioning. Goji is another golden fruit for anyone who’s following a healthy lifestyle. Goji is packed with antioxidants. Mixed with pomegranate and ACV, Goji juice is a refreshing healthy drink that’s very enjoyable no matter what the season is. Both pomegranates and goji berries lean towards the sour side of the taste scale. Both are also considered exotic so it’s quite a treat to have a pomegranate and goji berry flavored ACV drink. Since both already taste sour on their own, I did expect for this flavor to be sour and tangy. The included stevia made it sweet and easier to drink. Similar to the other ACV juices, this also comes in a bottle for portability. However, the packaging wasn’t done in a secure manner which can cause for it to break and leak the product. For more than 1000 years, pomegranate has been used for its medicinal properties. Their distinguished vivid color comes from polyphenols. Polyphenols are substances which are scientifically known to have the effectiveness against cancer cells. But aside from this, pomegranate also contains natural elements that help improve blood flow to the heart. Goji berry, on the other hand, has been considered as a superfood due to the number of health benefits one can derive from eating them. One interesting health benefit of the goji berry is its energy-boosting ability. Apparently, goji berry extract helps the body in creating muscular and liver glycogen. Glycogen is a form of stored glucose which helps you carry out your exercises for longer periods of time. 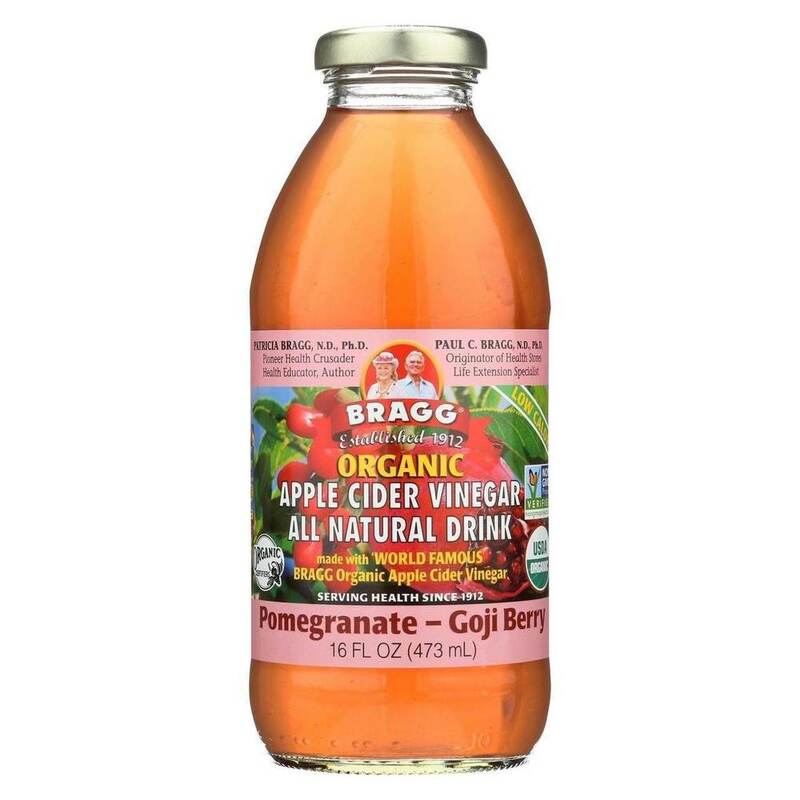 This juice from Bragg contains all of the pomegranate, goji berry, and ACV health benefits in one bottle. It is gluten-free and is certified Kosher, a perfect refreshment if you want an energy boost minus the caffeine. 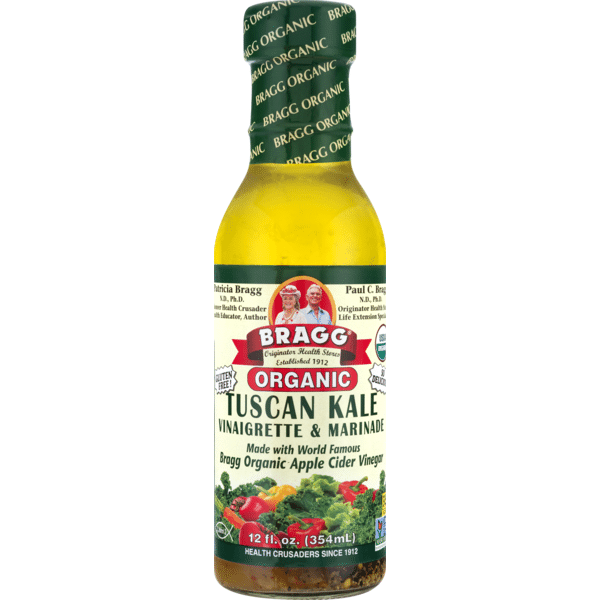 Last but not the least is the Bragg Organic Apple Cider Organic Fat-Free Vinaigrette. It’s very light and very liquid in consistency. It’s a perfect compliment for summer salads. My family and I were having barbeque one time and as part of the meal, I made a salad. I sliced up some cucumber, greens, cherry tomatoes and some oranges to compliment the fatty barbeque. Since it was already fatty, I thought a fat-free vinaigrette would compliment the barbeque. I wasn’t wrong. The acidity of ACV made for a well counterbalance to the smoky and spicy barbeque. Suffice it to say, we ran out of salad that day and I guess, it was all due to the Bragg Organic apple cider organic and fat-free vinaigrette. Many consumers found that the vinaigrette is too sour and some say it tastes too sweet. Oddly, it’s definitely hard to tell which one is the actual taste because for me, I think that it’s got enough acidic taste to go with the salads that I usually prepare. Packaging, for all of Bragg’s products, should be really something they should improve on. Their products are stored in glass bottles, which have high possibility of breaking if not packaged correctly. A complaint that most people on Amazon has mentioned. The vinaigrette is the savory counterpart of the ACV drink. It contains organic onion and pepper. Simple spices but definitely elevated the ACV taste to savory level. It contains only 15 calories per serving which is definitely good if you’re trying to watch what you eat by counting your daily caloric consumption. It is certified organic by the Organic Assurance International in line with the USDA organic standards. It also contains no added salt nor preservatives, so be sure to always refrigerate this vinaigrette after each use. Scientists have discovered links of ACV consumption towards health improvement and have recommended to take at least 2 tablespoons, three times a day. The products I have listed above will help you meet your dietary requirement even when you’re on the go. For a more in-depth look at the above, you can check out our article on the healthy uses of apple cider vinegar here.